Gasoline, diesel fuel blending system USB-2/20/4 This blending system can be applied for mixing simultaneously of two main components and four types of additives. 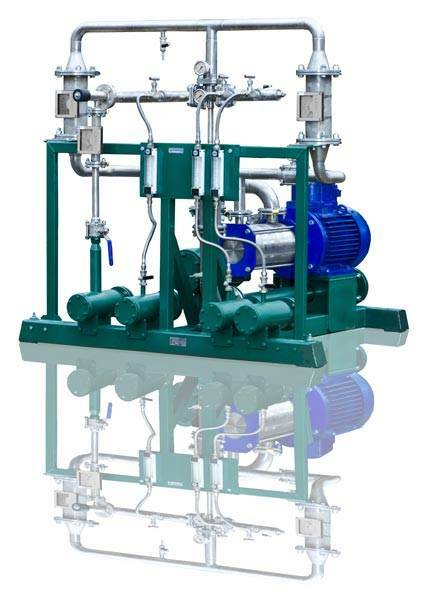 This Unit can be applied both for producing of blended gasolines and for producing of winter and arctic fuels by introduction of pour-point depressants and antigel additives. Unit capacity on the main components is 20 m3/hour, accordingly depending on percentage batching of additives final Unit capacity can make from 22 till 30 m3/hour. Adjustment of the main components can also be made. Convenience of this system is in its versatility in its application due to use of two main components simultaneously, thus every component can be dosed out in the ratio one to another.